We’ve just received Archive Service Accreditation, making us one of only seven archives in Scotland to be awarded this status. We’re especially chuffed about this as it gives us an excuse to blow our own trumpet about our amazing archive of architecture and archaeology. For instance, did you know we have over five million items you can come and see at our Edinburgh HQ? We’re open Tuesday – Friday from 9.30am to 5pm. Don’t worry if you can’t come and see us in person though; you can search our collection digitally. 1. Can you show us the original drawings? Architects across Scotland often get in touch asking to see the original plans of buildings they’re working on. This helps make restoration work authentic. 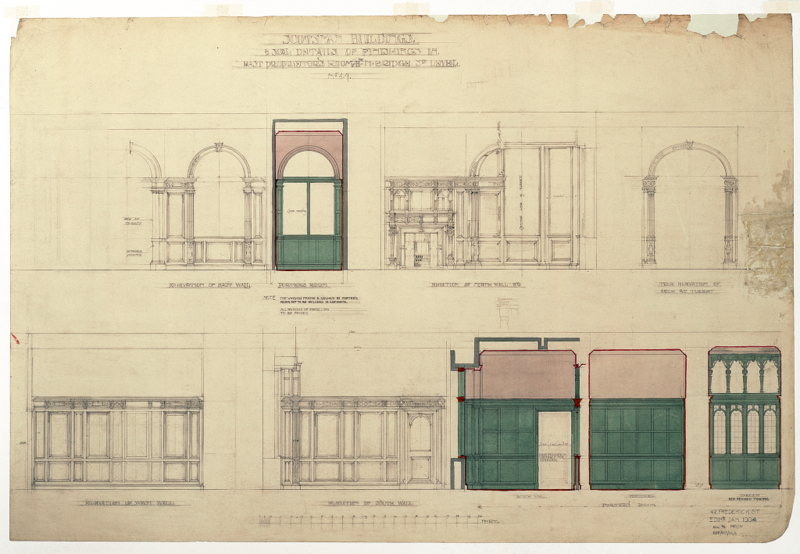 When Architects David Clarke Associates converted the old Scotsman building from newspaper offices to a luxury hotel, they consulted our archive to see fittings and fixtures in the original drawings. As well as holding original plans and drawings, we’ve taken hundreds of photographs of neglected and threatened buildings. These are of great interest to anyone seeking funding to bring a building back to life. Meanwhile, Victorian and Edwardian photographs are often a must-see once a proposal has got the go-ahead. 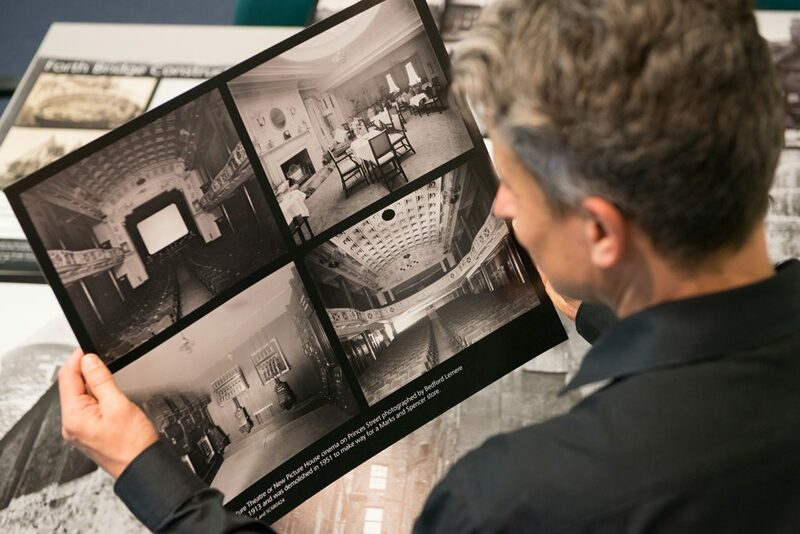 These archive pictures help architects to imagine and recreate the feel of times gone by. 2. Can you identify what this building was made from? The Chapel of Unity at the world famous Coventry Cathedral recently underwent repair work. Specialists carrying out the repairs needed to establish the original specification for the concrete surrounding on the windows. They asked if we could dig into our extensive Sir Basil Spence Archive – which contains drawings, photos and business records for every building the Scottish architect worked on, which includes the cathedral. We managed to get exactly the right information for the job. Success! 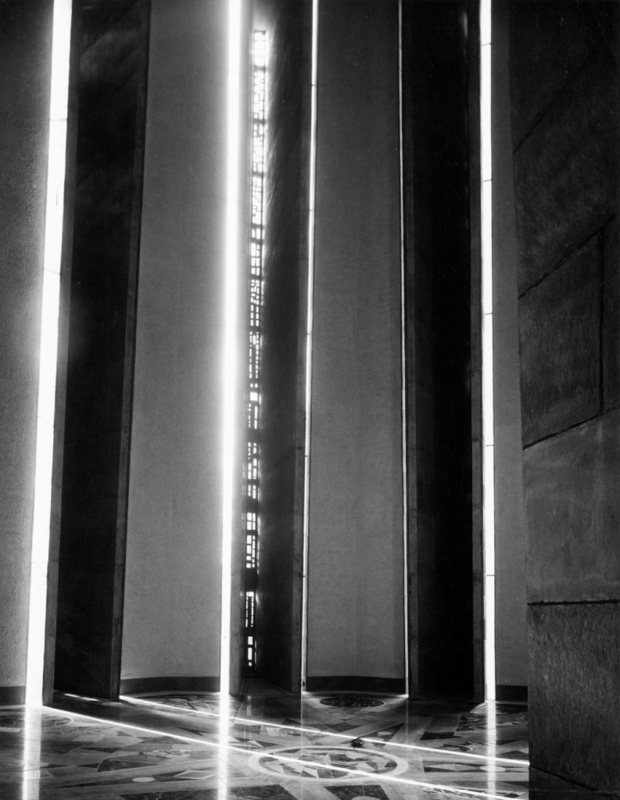 This striking image by Henk Snoek shows the windows in the Chapel of Unity at Basil Spence’s world famous Coventry Cathedral. 3. Can you help us locate WW2 bombs? Our archive includes the National Collection of Aerial Photography (NCAP), which is one of the largest collections of aerial photography in the world. NCAP contains many archive pictures of central Europe, and is continuously used to help locate undetonated bombs from the Second World War. 4. Can you help make our TV show look authentic? Last month we had an enquiry from a researcher working on a forthcoming TV dramatisation of an Agatha Christie novel. She’d been tasked by the show’s designer to find interior images of country houses done in the ‘1950s style’, and wanted to see photos of how folk back then mixed the traditional with the new. A lengthy search was proving fruitless, so our public services team put her in touch with our HES country house authorities Simon Green and Clare Sorensen. Clare explained the reason she was having trouble finding something fitting that bill was that it probably didn’t exist! Due to the war and higher taxes, the aristocracy in the 1950s simply didn’t have the money for house renovations. Even if they did, the 1950s style the researcher was thinking of was something more likely to be found in the city suburbs, or even Stateside. Using Clare and Simon’s expertise, the researcher got to see images of the Castle of Mey, the Queen Mother’s residence. 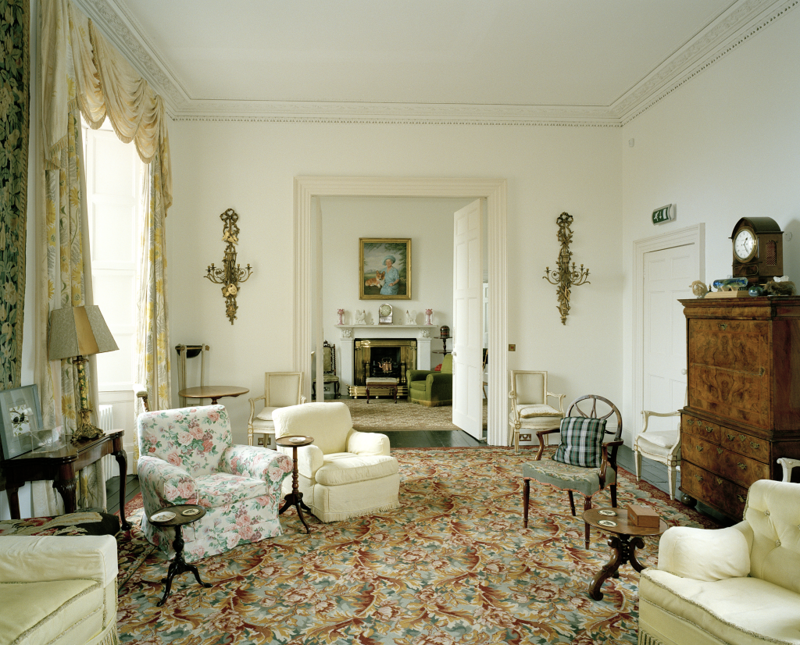 It had a rather austere makeover in the 1950s, more typical of the country houses of the era, but also had hints of what the researcher had in mind – things like the odd yellow sofa here and there. Thanks to our archive pictures and our experts, we were able to help recreate a more accurate reality of the Scottish fifties for the film set. 5. Can you give us Crannog Counsel? Finally, earlier this year Tern TV got in touch to consult our archive on the Dumbuck Crannog. They were researching the Victorian controversy surrounding the Iron Age site. Using our archive they were able to see the archaeological evidence that we hold on past excavations. 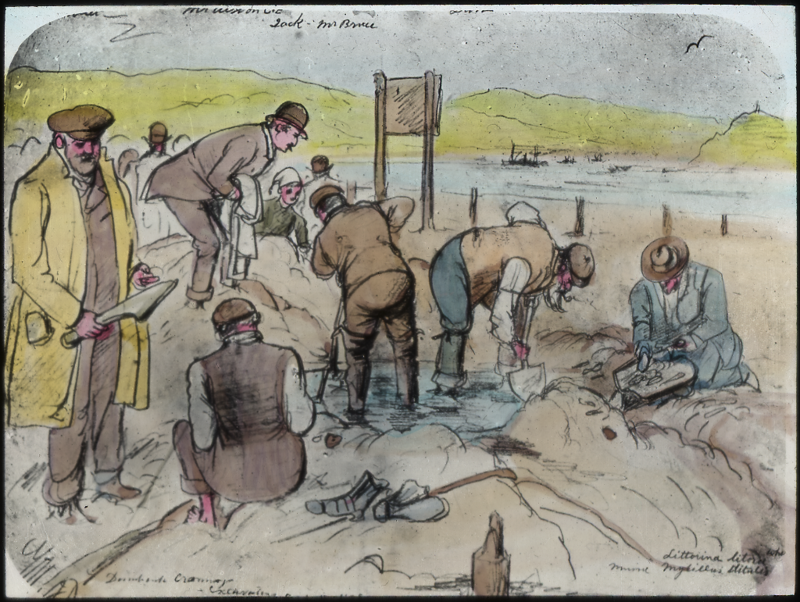 Contemporary drawings of the 1898 excavations at Dumbuck, Dunbartonshire can be seen in our J Harrison Maxwell Collection. I’m not going to say any more but you can see the results of their work and get the whole scandalous story of Dumbuck in November 2017 as part of the Channel 4 series Britain at Low Tide. Watch out for an outside broadcast with our very own crannog expert, Alex Hale. 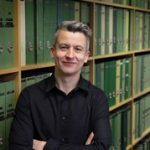 Has this post inspired you to do your own archival research? Get started with Canmore, or visit our search room.